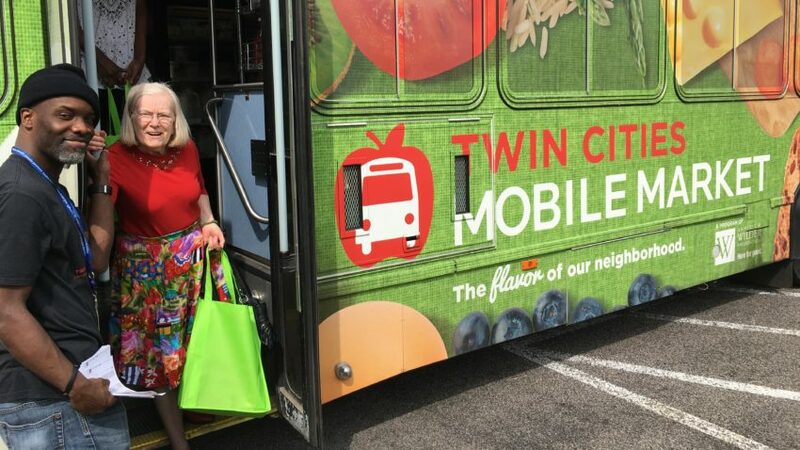 February’s Positive Change recipient is Twin Cities Mobile Market, a grocery store on wheels that brings affordable, nutritious food directly into under-resourced neighborhoods. This mobile food market closes the gap between food shelves and full-service supermarkets by providing a wide selection of fresh foods at or below market prices in areas with limited access to healthful food. Customers can pay using a variety of options, including credit, cash, or SNAP/EBT. Anyone is welcome to shop on the bus; if a person is not able to board the bus due to a disability, a Mobile Market staff person or volunteer will personally shop for the customer. The Mobile Market stops at over 15 St. Paul locations, bringing healthy food directly to those with limited access. February Positive Change donations will ensure Twin Cities Mobile Market’s shelves remain fully stocked with fresh, healthful, affordable foods. The Twin Cities Mobile Market is a program of the Amherst H. Wilder Foundation. Since the organization subsidizes the cost of the food it sells, it depends on donations from individuals like you, in addition to food sales, to make the Mobile Market financially viable. Increased access to healthy foods. Increased consumption of healthy foods. Increased knowledge about healthy eating and food preparation.